The Freedom variant littoral combat ship USS Milwaukee (LCS 5) conducted a live-fire missile exercise off the coast of Virginia May 11. The Milwaukee fired four longbow hellfire missiles that successfully struck fast inshore attack craft targets. During the evolution, the ship’s crew executed a scenario simulating a complex warfighting environment, utilized radar and other systems to track small surface targets, simulated engagements and then fired missiles against the surface targets. “The crew of the USS Milwaukee executed superbly and the test team ran the event seamlessly, both were critical in making this event successful,” said Capt. Ted Zobel, LCS Mission Modules program manager. 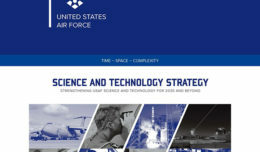 This marks the completion of the first phase of the Surface-to-Surface Missile Module (SSMM) Developmental Testing (DT) for the LCS Mission Modules (MM) program. This was the first integrated firing of the SSMM from an LCS. 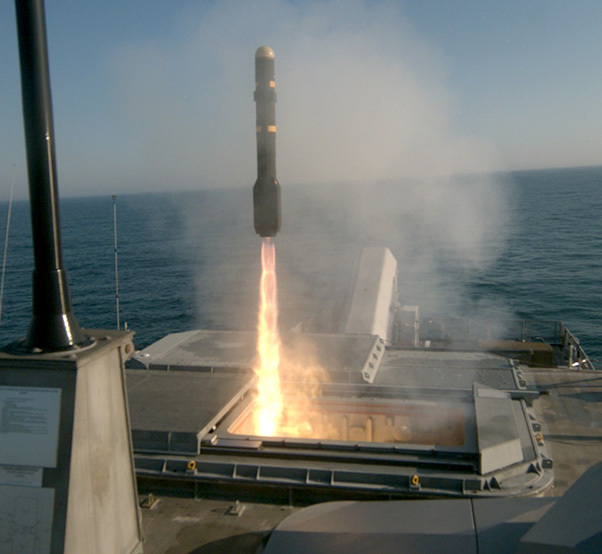 Additionally, this was the second at-sea launch of SSMM missiles from an LCS. SSMM leverages the U.S. Army’s Longbow Hellfire Missile in a vertical launch capability to counter small boat threats. Initial operational capability (IOC) and fielding of the SSMM is expected in 2019. The Freedom variant littoral combat ship USS Milwaukee (LCS 5) fires an AGM-114L Longbow Hellfire missile during a live-fire missile exercise off the coast of Virginia, May 11, 2018. Milwaukee fired four Longbow Hellfire missiles that successfully struck fast inshore attack craft targets during a complex warfighting environment utilizing radar and other systems to track the targets. The Milwaukee, homeported at Naval Station Mayport, is a fast, agile, mission-focused platform designed for operation in near-shore environments yet capable of open-ocean operation. It is designed to defeat asymmetric “anti-access” threats such as mines, quiet diesel submarines and fast surface craft. “The east coast littoral combat team continues to grow and mature with two Freedom variant LCS arriving annually in Mayport. We look forward to conducting the next phase of SSMM testing onboard USS Detroit (LCS 7),” said Littoral Combat Ship Squadron Two Capt. Shawn Johnston. The ship is a modular, reconfigurable ship, designed to meet validated fleet requirements for surface warfare, anti-submarine warfare and mine countermeasures missions in the littoral region. An interchangeable mission package is embarked on each LCS and provides the primary mission systems in one of these warfare areas. Using an open architecture design, modular weapons, sensor systems and a variety of manned and unmanned vehicles to gain, sustain, and exploit littoral maritime supremacy, LCS provides U.S. joint force access to critical areas in multiple theaters. 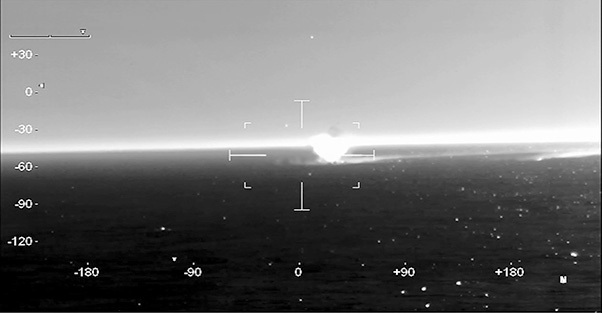 A still frame captured from video shows an AGM-114L Longbow Hellfire missile fired from the Freedom variant littoral combat ship USS Milwaukee (LCS 5) striking a surface target during a live-fire missile exercise off the coast of Virginia, May 11, 2018.